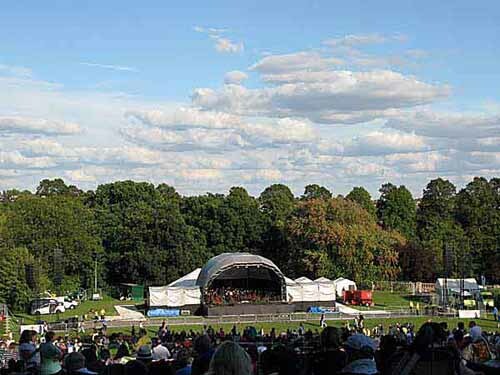 Darley Park in Derby Within walking distance of the city centre, this large popular park, given to the city by the Evans family, offers fine views of Derby. It is a peaceful place to escape the hustle and bustle of city life. The river Derwent flows through the park providing a natural path to follow along one side of it. One can return through Darley fields on the opposite bank. Derby Rowing club is based here and the river here has been the scene of an annual regatte for many years. Along the top, are small areas of woodland, and seasonal bedding displays, herbaceous border, roses, shrubs and a wild flower meadow. 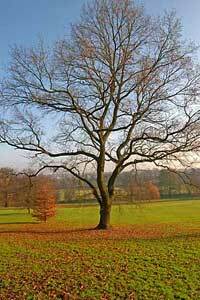 There is also a carefully maintained national collection of Vilburum and Hydraneas. 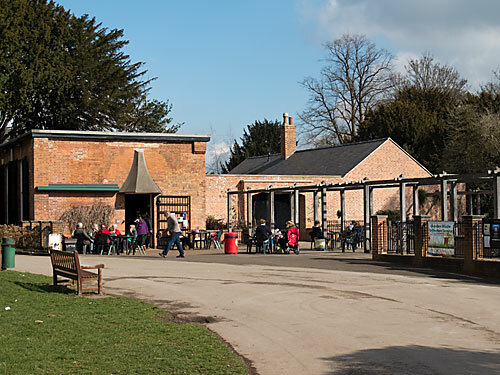 Toilets and a cafe are also situated at the Darley Abbey end of the park. There are a number of entrances including, North Parade and Darley Abbey where there is a car park opposite the Darley Abbey pub.